Imagine trying to build an overpass above one of central Missouri's busiest highways. 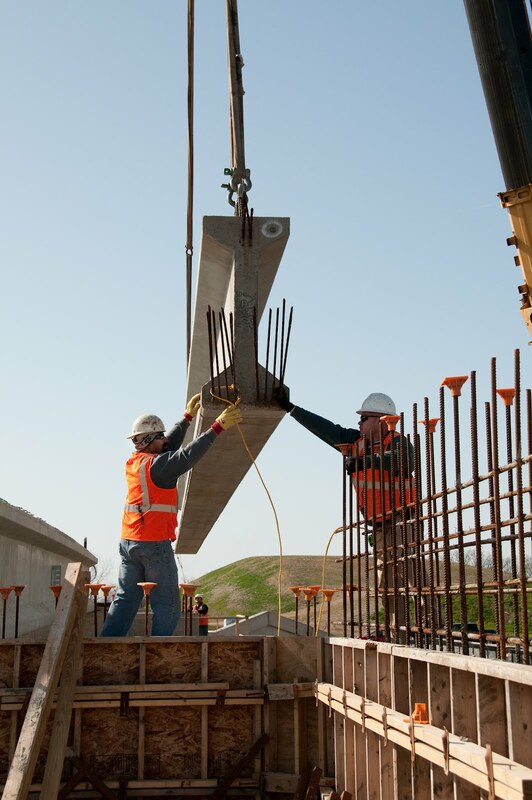 You'd have to lift long, heavy steel beams across two lanes of highway and affix them to supports while imposing the least possible impact to traffic. It takes a lot of choreography among people who can move quickly and easily amid seeming chaos. It's a lot like a large-ensemble ballet. 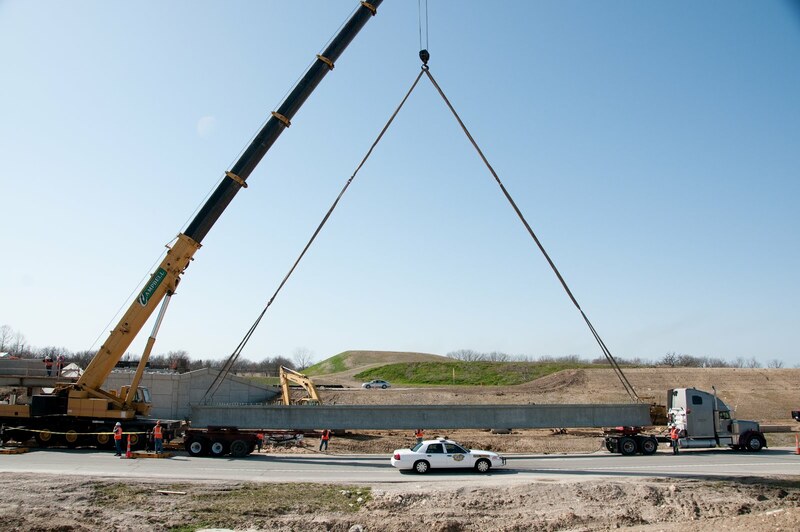 And the professionals who set the first four beams for the U.S. 63/Route H overpass in Boone County are virtuoso. In dance, timing is everything. In this case, everything was timed. The crews' arrival, the delivery of individual beams, the traffic interruptions. Everything had to happen in the correct order. which hoisted them into place as a captive audience of travelers watched a few minutes of the performance. Once the beams were aligned safely on the piers, traffic began to move below as carpenters and welders affixed the steel. Meanwhile, another beam arrived on-site and the dance repeated until all were in place. Soon, the completed overpass will be just another piece of the local landscape, but several groups of travelers will be able to say they saw this vital movement in the creation of a bridge. 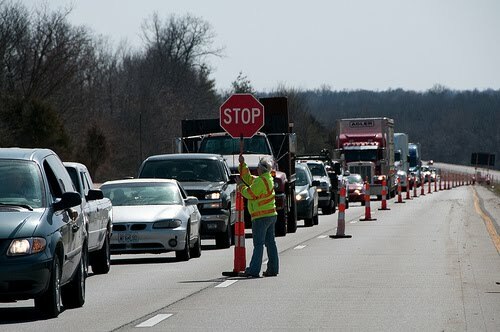 Thanks again, U.S. 63 motorists, for your patience!